During December, 10-15 a group of Karelian entrepreneurs took part in a study visit to Västerbotten within the project “Women Entrepreneurship from West to East”. Delegation included representatives of farms from Loukhi district of Karelia, entrepreneurs, working in the area of hairstyling and cosmetology, rural tourism. Visit’s agenda was proposed by Västerbotten’s Chamber of Trade and Commerce after collecting wishes from the participants of the study visit. Despite the fact that entrepreneurs represented quite diverse fields of activity, everyone demonstrated a real interest in all of the agenda’s meetings and discussions. 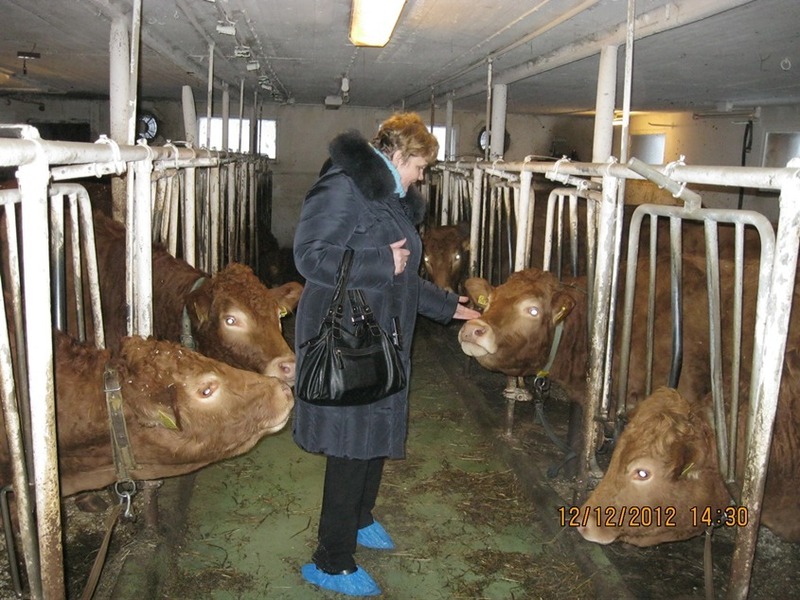 While attending farming enterprises (beef and dairy farming) in the village Hornsjö participants were introduced to the principles of organization of work, common for the Swedish farmers, learned about ways of state and EU support, as well as new methods of beef cattle breeding and use of advanced agricultural equipment. For instance, farm Åbrånets Limousin, keeping 170 beef breed animals is run by a family of 2 adults and 3 kids. Apart from the main occupation at the farm, the owners also offer rural tourism services and run a shop, saling own and other locally produced items. The nighboring farm for 140 animals is operated by a family of 2, who are actively applying robotized technologies. Advanced methods of wooden construction were introduced to the participants by Krister Juhansson, who told about the project Wooden City 2012. At the meeting at a “Hotel for Enterprises” (Leia Företagshotell) entrepreneurs from Karelia learned about a project for supporting small and medium businesses Leia Accelerator, received up-to-date information about a system of state support of SME in Sweden, including procedure of opening an enterprise and taxation system. The group also attended hairdressing shop and beauty clinic Estetic, which is actively using laser methods in cosmetology.